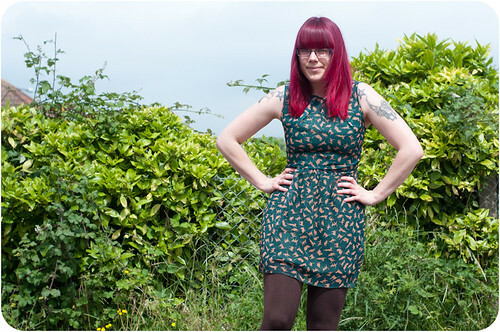 I ordered this dress from eBay, the label says M/L, I’d hate to imagine how tiny the small must be! If you find one on eBay order big! The print is really cute and very similar to one of my scarves. 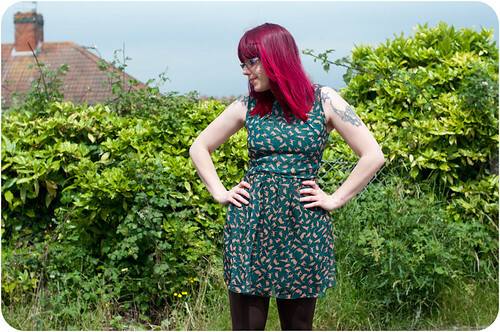 It’s a bit floaty compared to my usual choice of dresses but I still like it. I’m not that good at girly-girlyness, I think this is as girly as I get! Hi Beth! 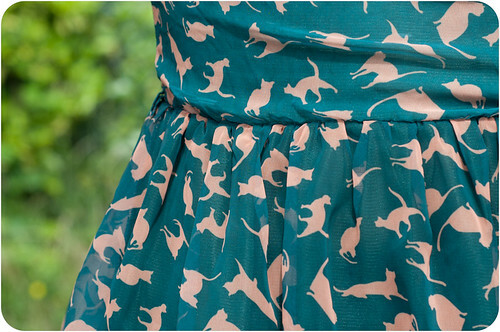 LOVE your dress and the cat scarves! Can you tell us the ebay sellers of these items? I tried searching, but didn’t come across these items. Thanks! http://www.ebay.co.uk/itm/221034951984?ssPageName=STRK:MEWNX:IT&_trksid=p3984.m1439.l2649#ht_1661wt_689 this is the link on eBay but they don’t seem to have any more 🙁 the colouring the photo is very different so you can imagine my surprise at the colour when it arrived! It is quite different! But still such a lovely dress. Thank you for providing the sellers link! Love your site!